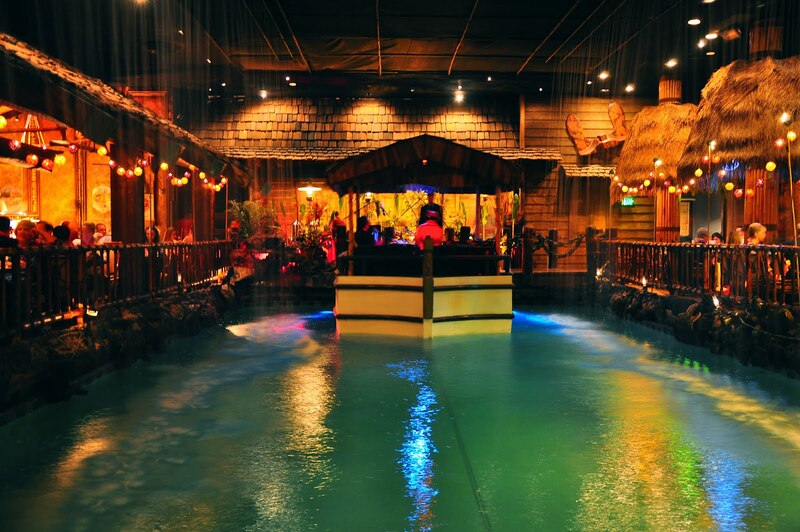 A visit to San Francisco isn’t complete without experiencing The Tonga Room and Hurricane Bar. Yes it’s a bar, but it’s also a restaurant that children won’t want to miss. The Pan-Pacific Rim menu is tasty but what makes the place so special, so impossible to miss, is the artificial thunderstorms that come on the hour while a full band plays on a boat in a moat. You’ll be blown away as the kids sip soda and you enjoy one of the Tonga’s famous Mai Tais. 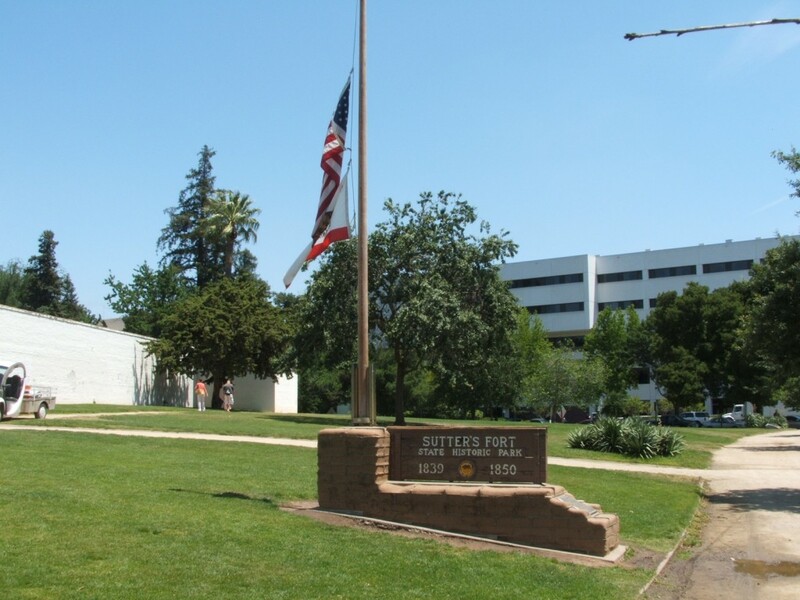 Kids young and old can learn about Sacramento’s early history at Sutter’s Fort Historical State Park. This Midtown attraction is an actual fort, not a figurative one, with walls 2 feet thick and about 17 feet high. There are hands-on activities and scheduled events throughout the year. The St. Francis is a lovely hotel, and one of the best things about it is that security doesn’t seem to mind when people who aren’t hotel guests use its glass elevators. There are five elevators that run the height of the building and offer spectacular views of the city and the Bay. It’s well-known to locals that this is the best view in town. children enjoy taking a trip to the top almost as much as they like Fisherman’s Wharf. Sure, this isn’t a traditional tourist attraction, but it’s so much fun. And since it’s free, you can’t argue with the price. The Wave Organ, an Exploratorium artist-in-residence piece, is a wave-activated acoustic sculpture located on a jetty in the San Francisco Bay at the tip of the Marina. It’s not a video game, nor is it in high definition. It doesn’t shock you terribly or run up your credit card. It just makes a very pleasant sound that your children will find delightfully bizarre. Waves going through the Wave Organ make it play something that’s not quite music, but certainly not just noise. It’s like stepping inside one of the seashells that you hold up to your ear. If San Francisco has a heart, it’s in Union Square. 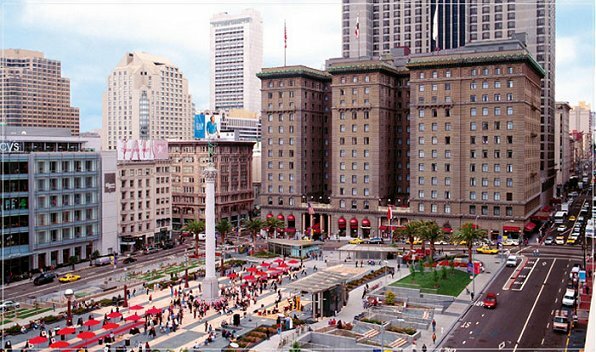 This open-air plaza is ideal for sitting to enjoy a drink while you watch tourists, businessmen, shoppers, street performers and all the rest of the residents of the City by the Bay. Be sure to check local listings to see if any events are taking place in the Square, as the plaza is home to art shows, fashion shows, parties, and sometimes demonstrations, political and otherwise. On the plaza, there is a little café where you can get pastries, coffee or a glass of wine. Union Square is home to the TIX booth (350 Powell Street); buy discounted tickets there to shows at the downtown theaters. San Francisco is home to one of the “most popular historic vessels in the country”; it is a giant WWII submarine that sank six Japanese ships. Now, it’s a living museum where you and your children can marvel at this immense symbol of military brawniness. Submarines are inherently fascinating to kids, and any children learning about World War II in history class should definitely see the USS Pampanito for a well-rounded lesson in the past. 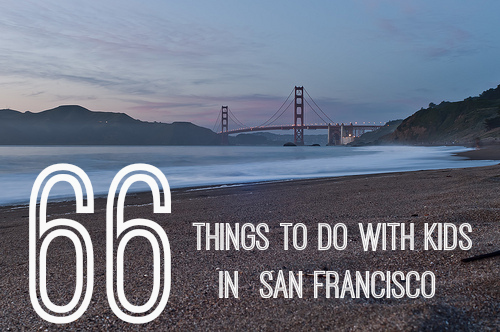 Located on the 19th (and top) floor of the InterContinental Mark Hopkins Hotel, the world-renowned sky-bar affords an almost 360 degree vista of San Francisco, including views of the magnificent Golden Gate Bridge, Fisherman’s Wharf, and Alcatraz. The Top of the Mark is as famous for its 100 different martinis as it is for the view, but before 8pm, it serves soft drinks for the children as well. 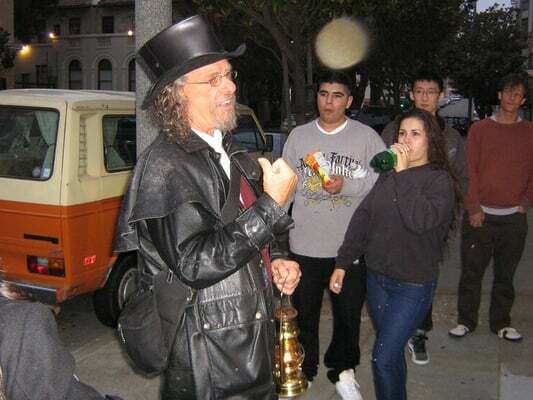 The Ghost Hunt is a walking tour of San Francisco which focuses on ghosts and other paranormal activity. The organizers claim that all of their information is backed up by research, but we’re not so sure. Even skeptical kids will have fun on this two-hour tour. The tourguide, Jeff Fassbinder, says this is a chilling supernatural adventure, so please dress warmly because it gets chilly at night in San Francisco. This hunt is not recommended for children 8 and younger. The rowdy and charming flock of Cherry-headed Conures is thought to have come here in the late 80s, and they’re still delighting curious children today. Originally from South America, no one is sure exactly how they ended up on Telegraph Hill in San Francisco. In the 90s their fame grew along with their numbers, and there are now more than 100 parrots in the group. These are beautiful, brightly-colored, tropical parrots, who manage to survive in San Francisco due to the mild climate (which seems to suit the human inhabitants as well). Several years ago, their primary caretaker, Mark Bittner, wrote a book and contributed to a film about this curious flock, which only increased their fame. They’re now the most loved feathered citizens of the city.